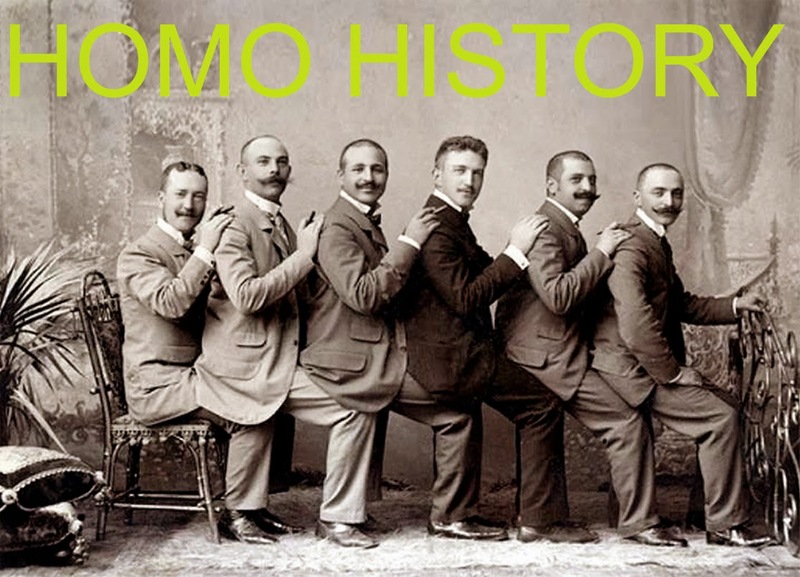 Homo History: Homo History's One Year Anniversary! Homo History's One Year Anniversary! I can't believe that it's been a year since I decided to put together this blog; It's been a labor of love and I've enjoyed every minute of it. Thanks to all of you that have subscribed; I hope that the rest of you will follow their lead! I've just found your blog, and been perusing your archives. This post seemed a good place to comment and tell you that I am enjoying all this old photos. Thank you for compiling all of this to share with the world!